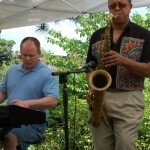 Corn Hill is going to reverberate with music on July 13th & 14th. We’ll be bringing you great free, live entertainment from our 4 stages. Make plans now to check out these bands. Rochester royalty, The Majestics, have been a mainstay of the reggae scene since 1980. 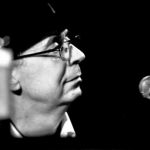 Over the course of the 1980s, the renowned group recorded and performed with the legendary Lee ‘Scratch’ …see full write-up. When Danielle Ponder and the Tomorrow People hit the stage things get torqued up quickly like a tent revival during tornado season. Named Top Ten Bands to watch by CityPaper, and …see full write-up. 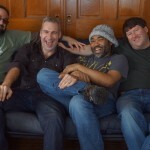 Chris Eves and the New Normal blur the lines between rock, funk, country, and blues with a healthy dose of jam band influences. Thoughtful lyrics blend seamlessly with solid roots …see full write-up. 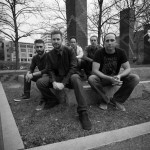 Moving Mountains (formerly known as The Goods) from Rochester, NY, is an eclectic band that plays original music. Writing, recording, and performing worldly progressive pop music, Moving Mountains also displays …see full write-up. 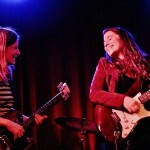 Grace Stumberg and Grace Lougen are an indie folk/rock duo from Buffalo, NY. They perform Grace Stumberg’s original music, which is easily accessible and inspiring to people of all ages. Both …see full write-up. Gabe Condon is a 2015 Graduate of the Eastman School of Music and has assembled a band of world-class musicians from New York City. Combining both his rock and …see full write-up. 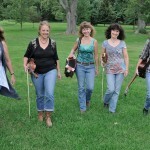 What do you get when the women of NY's top Cajun bands combine their musical talents? 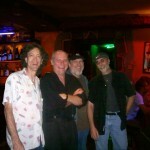 C’est Bon Cajun Dance Band: hard-rockin, foot-stompin, high-powered Cajun dancehall music! C’est Bon is: …see full write-up. 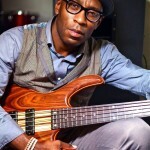 Jimmie, or as friends call him Tjari, was born September 18, 1967 in “Flower City” Rochester NY. Critically acclaimed, Grammy Nominated and award winning Saxophonist Jimmie Highsmith Jr., has shared …see full write-up. 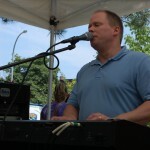 Todd East is one of most talented and versatile musicians to ever perform in the 50 years of The Corn Hill Arts Festival. 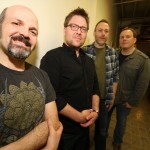 This band will feature Todd and three …see full write-up. 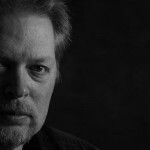 Born in Memphis, TN, Jeff Riales has been writing and performing music for most of his life, and his style on the guitar and piano are as unique as the …see full write-up. Meg Gehman was born and raised in NYC and now resides in Rochester, NY. 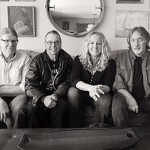 Singer, songwriter, guitarist Meg Gehman brings decades of experience as a writer and front woman for …see full write-up. 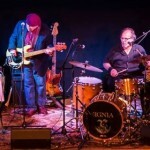 Bobby Henrie & the Goners formed in 1985 when Bobby Henrie, along with Brian Williams and James Symonds decided to start a Rockabilly band and capitalizing on their respective years …see full write-up. The music for The Corn Hill Arts Festival 50th anniversary celebration will begin on Saturday July 14th at 12:00 noon with a tribute to the music of 1969 by Rochester …see full write-up. The Beale Street Blues Band was formed in March 1998, playing every Thursday night at the Beale Street Café, in Rochester, for the next seven years. The band members are …see full write-up. 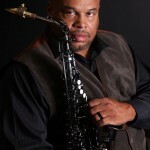 Carlton Wilcox Live (CWL) is the perfect blend of Smooth Jazz and R&B for the sophisticated music lover. 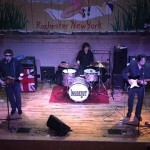 As Rochester’s own musical treasure, CWL is creating a standard of excellence …see full write-up. Todd East and Jim Richmond are returning to the porch at 27 Atkinson Street by overwhelming popular demand. Todd East works a steady schedule out of Miami, Oklahoma performing in …see full write-up. 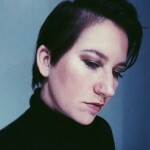 Think of your favorite female singer/songwriters and get ready to add Kirsten Maxwell to the list. 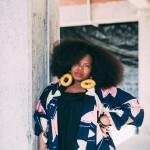 Based out of Huntington, Long Island, she has developed a dedicated hometown following and …see full write-up. The Stone Jack Ballers are an energized Quintet of seasoned musicians playing improvisational rock, funk, electronic, and jam music. 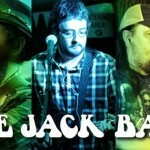 The Stone Jack Ballers cover songs by the Grateful Dead, Phish, …see full write-up. 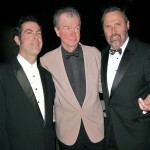 The Nightstalkers are a self-contained dance band, combining "industrial strength" arrangements of Rhythm and Blues, Rock & Roll, Soul, and Rockabilly with a high energy performance. Featuring Dave Riccioni on …see full write-up. Based in Rochester, NY, the North Star String Band are a collection of seasoned musicians that deliver original barn burning bluegrass. 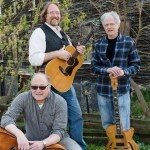 Their music ranges from traditional bluegrass to upbeat Jug …see full write-up. 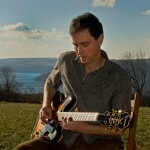 John Bolger began playing guitar back in 1981 at age 13. After learning a few chords and playing folk songs by artists such as Bob Dylan and Neil Young, he …see full write-up. 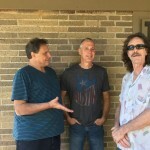 Big Blue House is a raucous trio of seasoned musicians with experience in a variety of genres, which now merge styles and voices into a unique gumbo of folk, rock, …see full write-up. 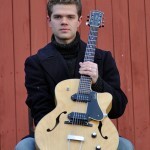 P. V. Nunes (acoustic guitar, piano and vocals) Paul Vincent Nunes’ original songs are steeped in American musical traditions, flavoring Gulf Coast blues with New England salt. Soulful and thoughtful, …see full write-up. 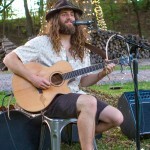 From high energy stomp, to mellow campfire acoustic, Head to the Roots is currently a multi-instrumental solo act, led by American singer-songwriter Anthony Siciliano. Anthony pulls at the roots of …see full write-up. 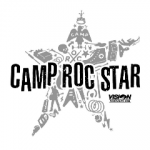 The Corn Hill Arts Festival is excited to be presenting the future music stars of tomorrow from Elvio Fernandes's Camp Roc Star. Started in 2009 as just a summer camp, …see full write-up. All other times by appointment only. Saturday, July 13, 10 a.m. - 6 p.m.
Sunday, July 14, 10 a.m. - 5 p.m. POSTERS: Order this year’s Festival Poster or one from a previous festival.